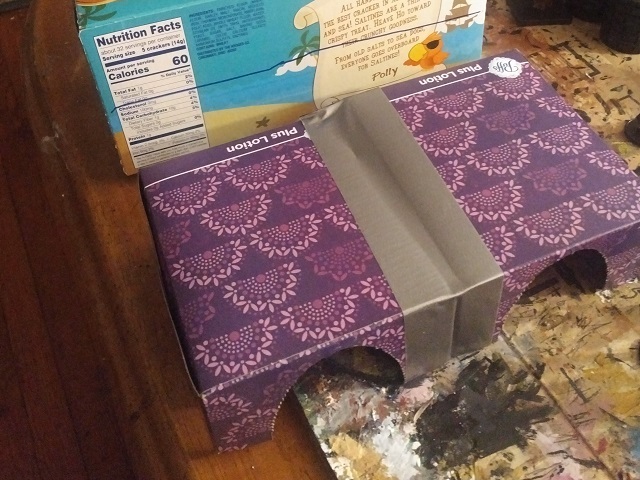 Making my puzzle box church left me the stub end of a facial tissue box. So I have paired (tripled?) 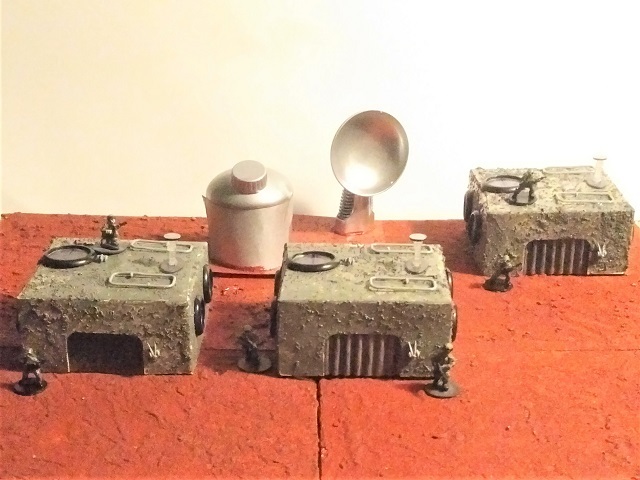 it up with two more boxends, and pulled out the greeblies to make some pillbox utility buildings. 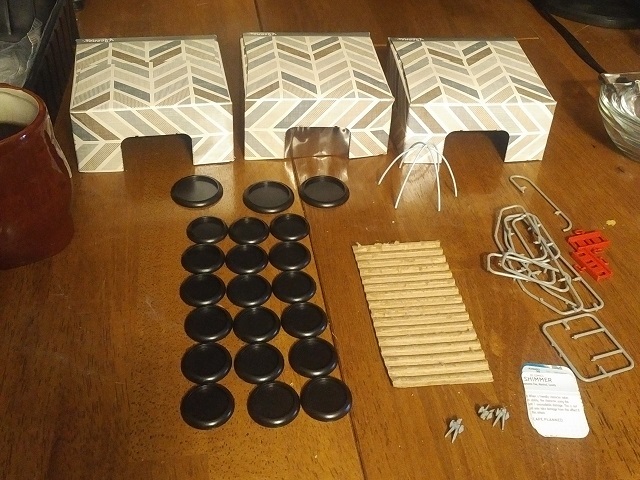 I've got some spare bases that will make nice windows, corrugated cardboard for industrial garage doors, and some leftover steampunk bakckpacks to make controllers for the doors. I am using my paint/PVA/sand mix for the outside. 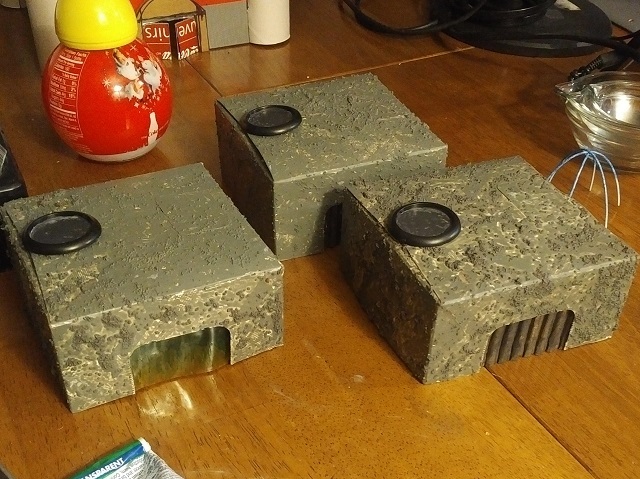 This fits in well with a lot of my other industrial looking buildings, but they also could be quick construct concrete buildings, too, so they will fit in a lot of different scenarios. Here they are next to some figures. I likely woudn't use all three of them this close in a game, but they now make a repeatable and recognizable utility type building ... guard shacks, M&E control rooms, etc. 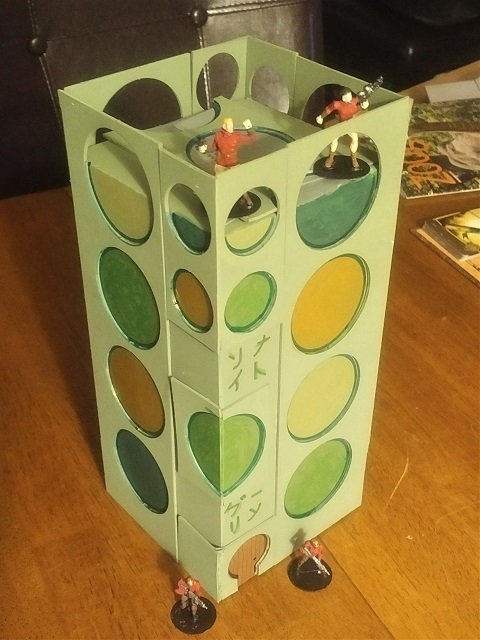 And following my minaret tower I have a couple more cracerbox palaces. This one will be a modern, Art Deco style building, with maybe a little more 60's revival than true Art Deco. The box has just been covered with the thick card sprues you get left behind when you punch out stuff for boardgames. 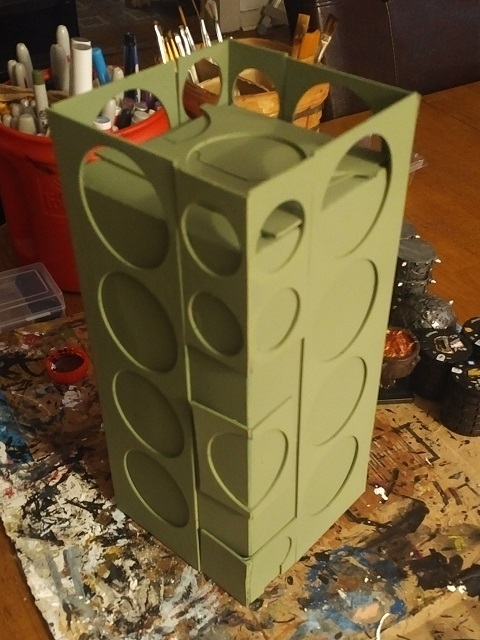 I think the sprues do a good job at dressing up a plain old box. The drab yellow and green tone palette is my go-to for 60's stuff. And it just gets finished up with some detailing. I wasn't sure about doing the borders of the circles, but that bit really made a difference and made the circles "pop". Any Katakana experts in the house? 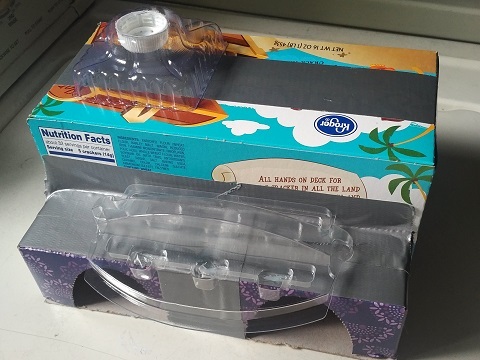 And we merge the two concepts together here with two halves of a tissue box and a crackerbox. I also keep bunches of interesting packing clamshells. So, occasionally, I have to use them in order to justify the storage space. The one on the top breaks up the large flat area of the roof. The one in front will provide a lot of character to the otherwise boxy building. Here it is painted up. Could be a cafe, a theatre, etc. 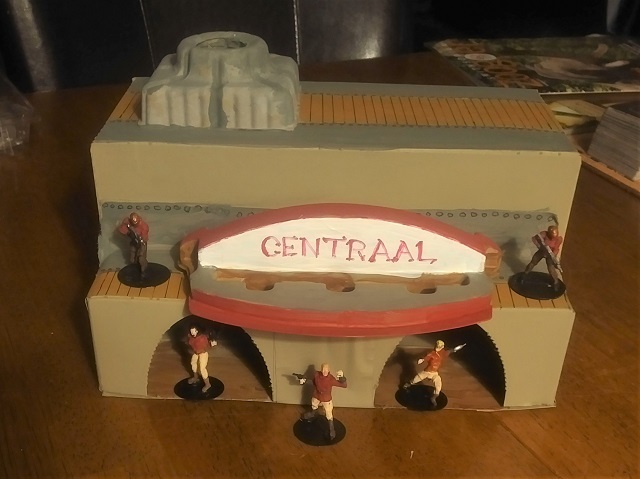 SWMBO says it looks like a train station (which is why I picked the name, Centraal), so I will have to make a platform for the back side of the building sooner or later. 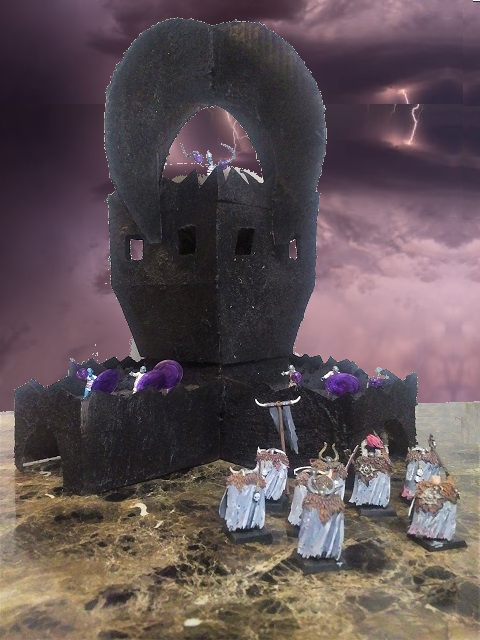 And here is an old tower that I don't have WIP for, but it is basically the same technique. 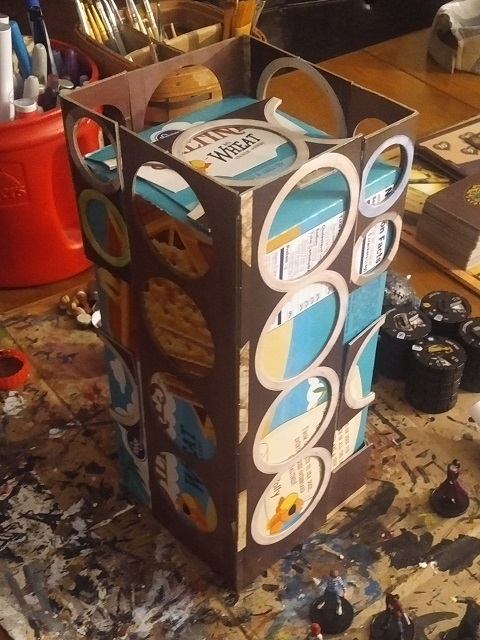 Crackerbox in the center, then half tissue boxes at the bottom and various additional cardboard acountrements.